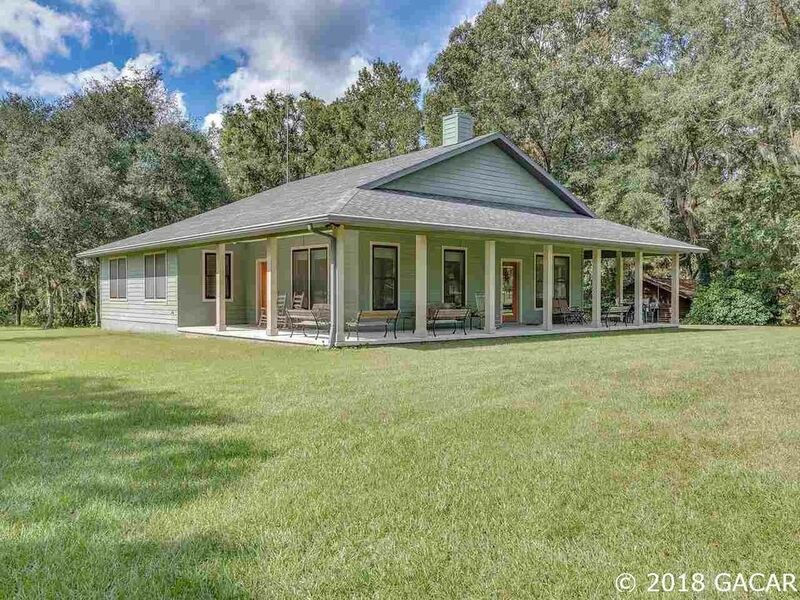 A custom-built home loaded w/ extras sitting on 23 of the most gorgeous acres around with a mixture of pasture areas, hardwoods, pines, grandfather oaks & so much more! This home was well planned out w/ an open floor plan, lots of windows for natural light & great views of the property & abundant wildlife from every room, transom openings above all the doors & hallways for ventilation, porcelain tile, solid core doors & extra insulation throughout, a central vacuum system, a steel reinforced solid concrete safe room in case of a tornado & so much more that just needs to be seen to appreciate! The attic even has a walk-way system! The property has a 20' x 40' multi-purpose building/studio with a full bathroom. A separate workshop building includes an insulated 10' x 16' room for food or cool storage. Plus there is a 2nd home-site w/ a gazebo, a double metal carport w/ a concrete slab & septic. There is also an RV hook-up site! The property is home to what is named 'Little Blue' - a spring fed pond that is 135' deep w/ access to the Old Bellamy cave system. This home & property are loaded w/ extras & opportunities!